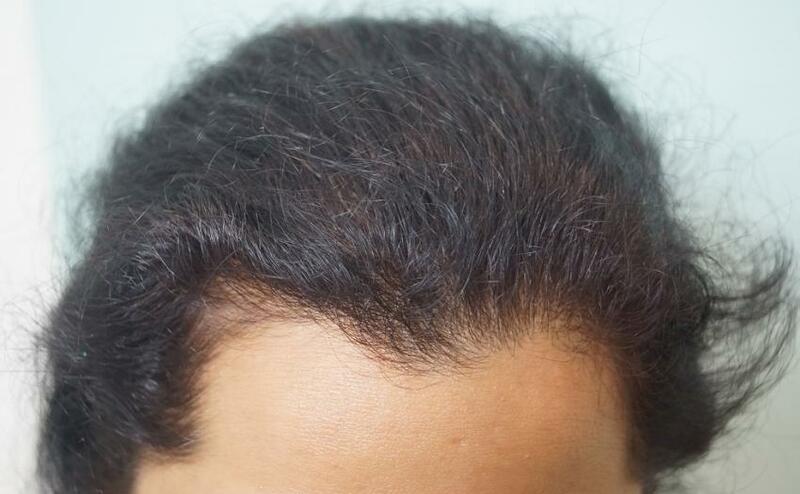 A 36 years old female approached us with chief complaint of hair loss over scalp since 11 years in 2011. She noticed patchy hair loss on scalp right after first childbirth. It was associated with no other symptoms. The patient had taken multiple treatments outside but no relief. 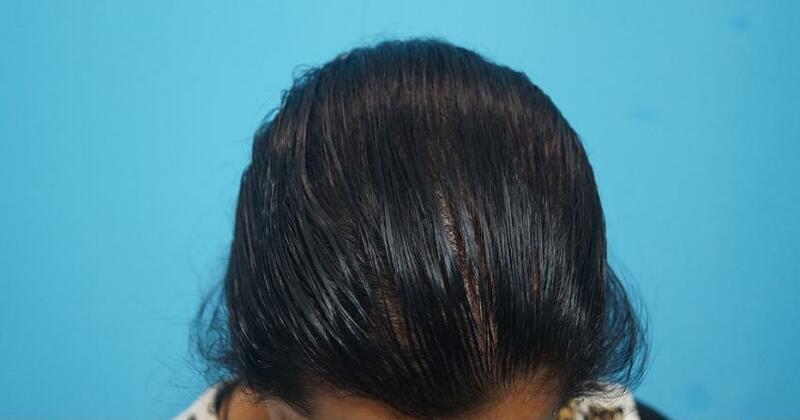 On examination, the scalp showed a big patch of hair loss over central scalp. The skin showed atrophy and wrinkling with shiny appearance. 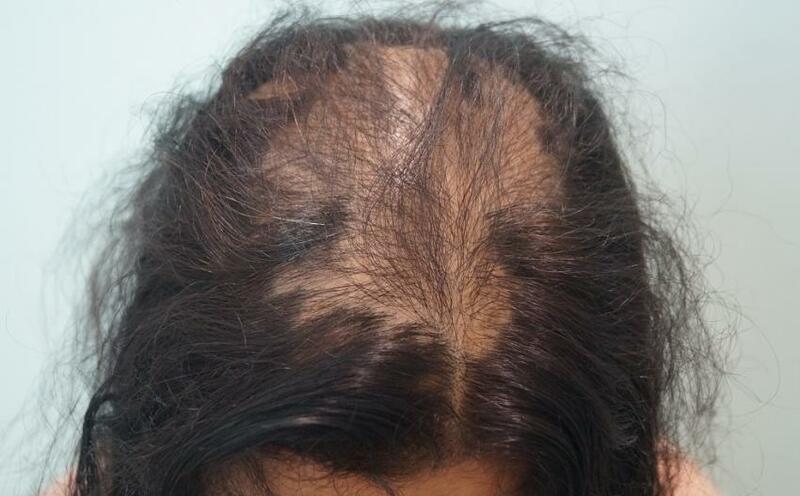 A provisional diagnosis of cicatricial alopecia was kept. A consultation was taken from the Dermatologist ( Dr. Aman Dua, my wife) who did biopsy to confirm the clinical diagnosis. 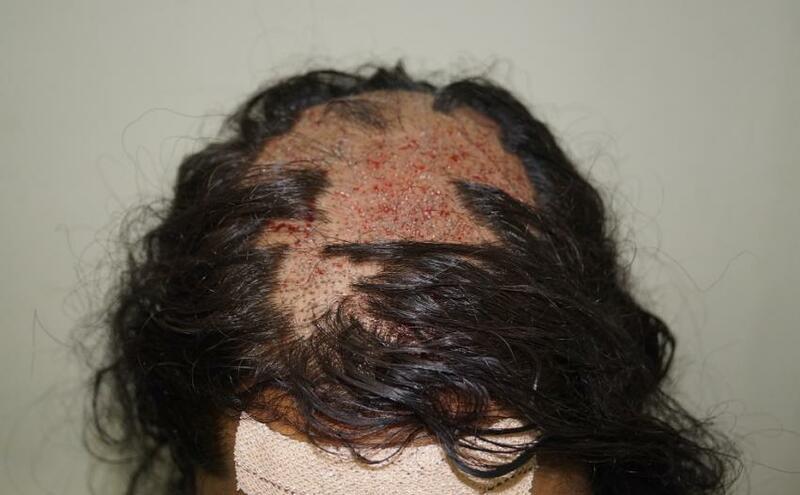 It revealed cicatricial alopecia with possibility of lichen planopilaris. 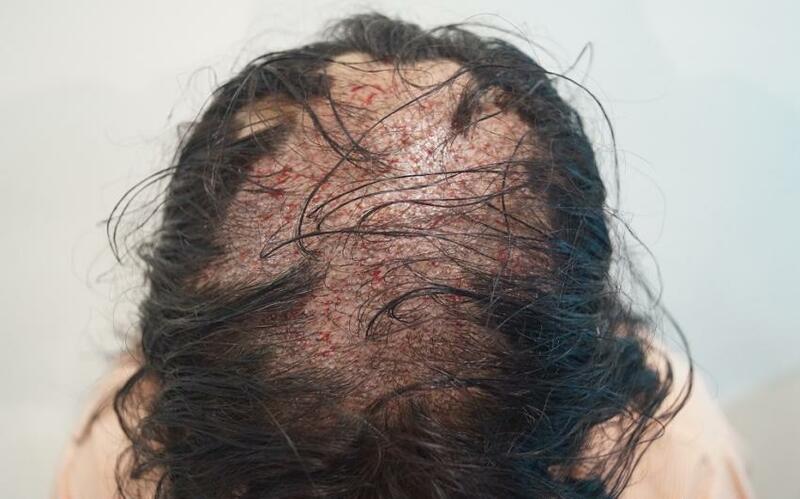 The patient was put on oral deflazacort, hydroxychloroquine, biotin, omega 3 fatty acids, topical steroids, tacrolimus and benzyl nicotinate, vitamin k, salicylic acid tincturefor 4 months. 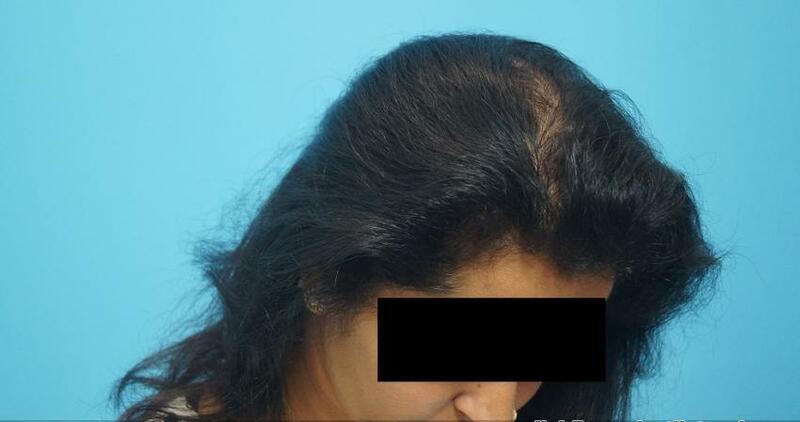 The patient showed some improvement in terms of no further hair loss and some areas also showed hair regrowth in the periphery. Then a second biopsy after 4 months to check the activity of the disease. It showed partially treated lichen planopilaris. 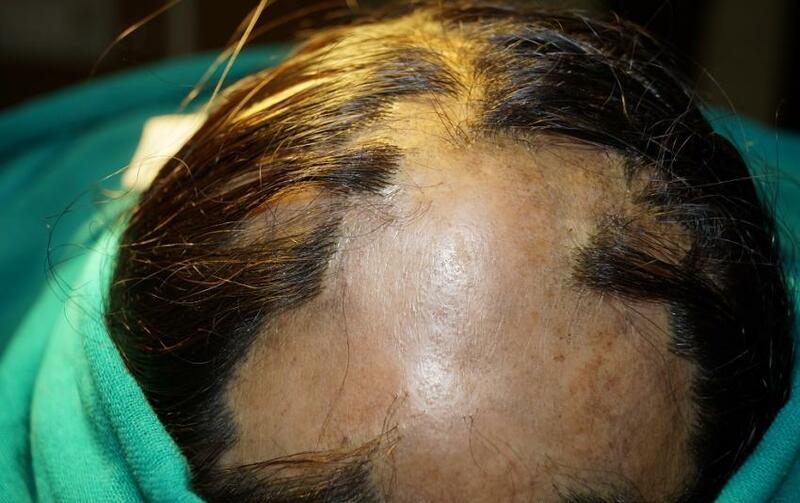 She was given intralesional steroids in resistant areas with mild improvement in terms of vellus hair regrowth seen. 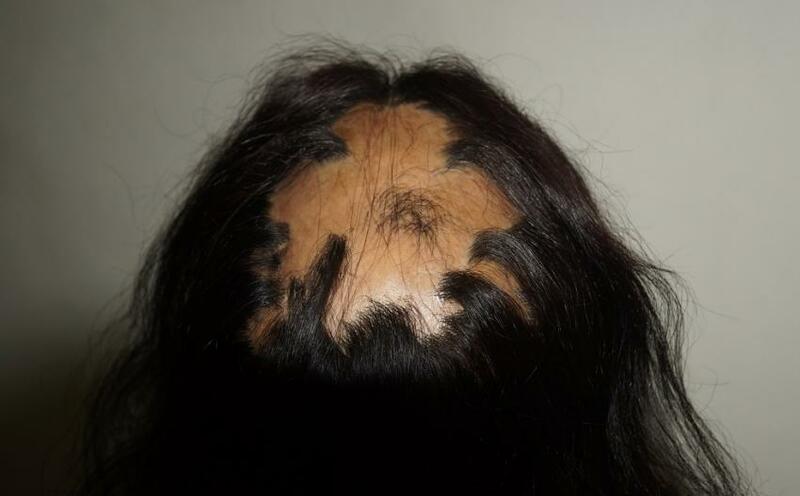 After seeing that the disease had stabilized she started asking for a hair transplant. Then again, biopsy was done to study the activity of the disease which showed post inflammatory pigment alteration.This prompted us as well as the patient to think about hair transplant. 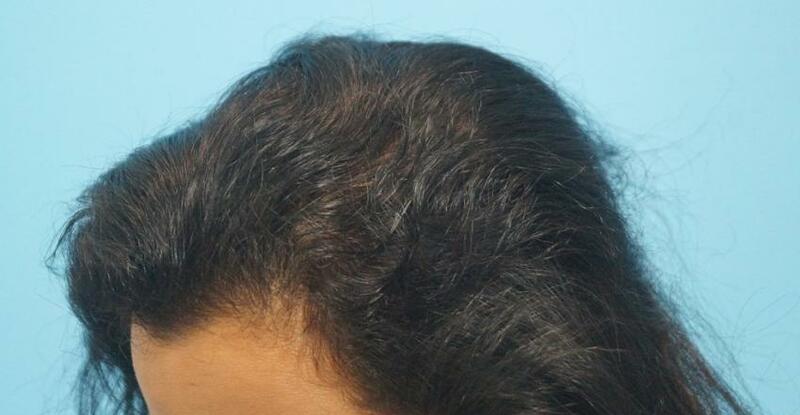 The same treatment was continuedfor 5 more months, aim being disease inactivity before we jump to hair transplant. Five months later, the final biopsy showed dermal sclerosis with focal pigment incontinence and few terminal hair follicles. 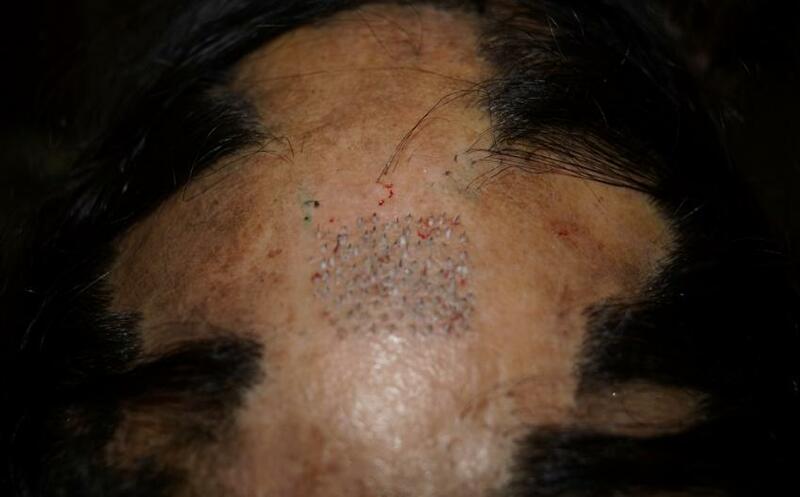 Then after the insistence of the patient and the inactivity of the disease, we decided to do a test patch of 100 grafts with FUE in 2012.It was planned with FUEtechnique as the patient did not want to undergo surgery with stitches.